If you’re like a lot of people – like hundreds of thousands of people – you love the Outer Banks of North Carolina. You might consider us presumptuous drawing this conclusion so quickly, and we would agree with you . . . except for the fact that we’re right. 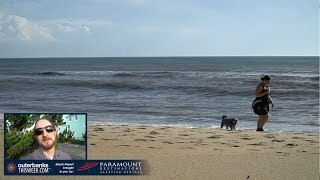 You love the Outer Banks beaches, the Outer Banks water sports, the Outer Banks towns, Outer Banks shops, the Outer Banks events and Outer Banks activities . . . everything about this place (you wouldn’t be on this site if you didn’t). We do too. And, lucky for you, we also love writing about the Outer Banks. Locals and visitors alike value our Outer Banks information. Our local writers tell you how to negotiate dining out if you have a big crowd. We show you, step by step, how to pick a crab. We’ve written articles highlighting Corolla and the Currituck Outer Banks or about charming Manteo on Roanoke Island or telling you the mysteries of Ocracoke Island. 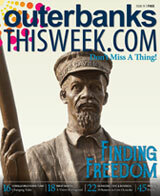 We cover the events happening on the Outer Banks – and, boy, are there a lot of them to cover! Outer Banks activities, everything from water sports to walking tours to lighthouse tours to birdwatching trips, are focal points. Businesses, rituals and legends local to the Outer Banks are detailed in our articles. You’ll find out how that restaurant got its name or the modest beginning of that now-booming business. We give you insider Outer Banks information about staying safe in the ocean, how to navigate those pesky turn lanes, which restaurants to check out for the best Southern cuisine in the area and resorts’ present and future aspirations. Our Outer Banks articles are good reading. You’ll feel like a local with all the knowledge you’re sure to collect! And we’re adding to them all the time. Click on in to learn about the Outer Banks from the locals' side! National Park Service Passholders save $3 off single ticket purchase.